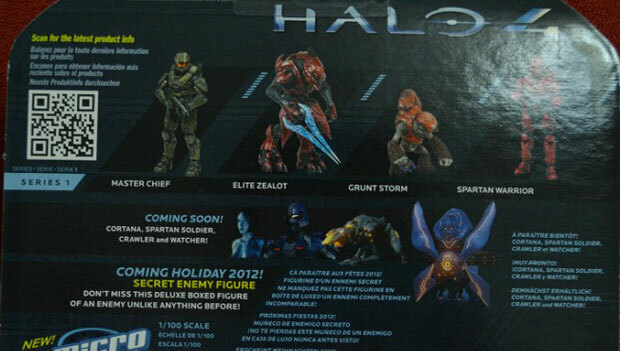 This toy box art that's supposedly for some legit Halo gear reveals two new characters for Halo 4 - The Watcher and The Crawler. Hardly terrifying names but we'll see what they get up to - let's hope they are more interesting than Halo: Reach's Skirmishers. Update: So here's a better picture of the Crawler and The Watcher.